Sheffield Steelers forward Jonathan Phillips says Great Britain’s pre-World Championship training camp has got off to a great start. The 28-man squad reported to the Skydome on Tuesday ahead of the first on-ice session, as GB first prepare for two international matches against Lithuania this weekend. GB host Lithuania in Milton Keynes on Saturday (7pm) and on Sunday in Coventry’s Skydome Arena (5:15pm). After the weekend’s games, head coach Pete Russell will name a 23-man squad who will represent Great Britain at the World Championship in Budapest, Hungary from 22nd to 28th April. Phillips said: “The squad is buzzing and we have already had some great sessions as we prepare for the weekend. “The GB squad gets very few chances to meet throughout the season and so this training camp is a vital part of our preparations. “It’s a quality roster at the moment and the coaching staff will have some tough decisions to name the final 23 players. GB meet Lithuania twice this weekend and although Britain have won the past two meetings between the two sides, Lithuania had won the previous two. “We seem to have some great battles with Lithuania,” said Phillips. “We may have had the upper hand in the last two years, but for a couple of seasons they had our number. To buy tickets for GB against Lithuania at Planet Ice Arena Milton Keynes, visit the box office in person, click HERE or telephone 01908 540020. Away seating is in block nine. To buy tickets for GB against Lithuania at the Skydome in Coventry, visit the Skydome box office in person, click HERE or call 02476 630693. Away seating is in bock eight. 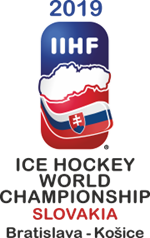 IIHF Ice Hockey World Championship Warm-Up Tickets cost: £18 for adults, £13 for concessions (senior, NUS & 16-18 year old), and £10 for under-16s. Going to watch GB v Hungary? Wetherspoon on Midsummer Boulevard, in Milton Keynes, sponsor the Lightning and have an offer for all GB and Hunagry fans. All Ice Hockey ticket holders will receive 20% discount on food on Sunday. Don't go hungry, supporting GB or Hungary !